Get the thrill of sliding on a wave. If it’s your first time in the surfing environment, level 1 is for you! It will not be easy, but as soon as you can slide on the first wave, it will not be the same. 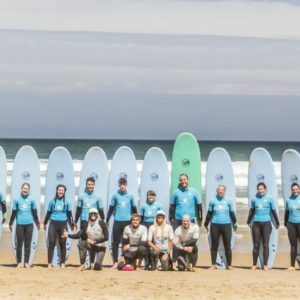 Our experienced team will give you advice and all the tips, so that your beginning in surfing is the most fun and safe. In our theoretical classes you will get all the information on how to stand and how to get to the board in the water. At this stage you will surf on the beaches of the coasts of Sagres where the waves are smaller and easier. None, suitable for those who have never experienced surfing or have not been practicing for a long time.